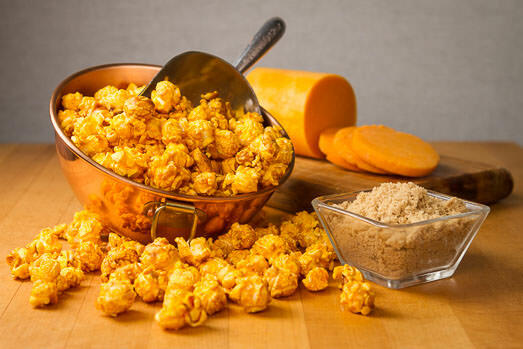 Our award winning, signature “Dichotomy Corn” (cheese-coated caramelcorn) is ready to order in bag arrangements, tins & more! Great Products & Deals in stores! Join the fun at our Campbell’s Sweets store locations! 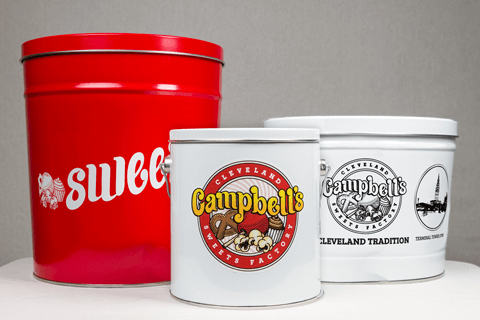 Show your love for Cleveland—and Cleveland’s favorite popcorn—by ordering one of these fresh-filled tins today in 2 gallon and 3½ gallon sizes! 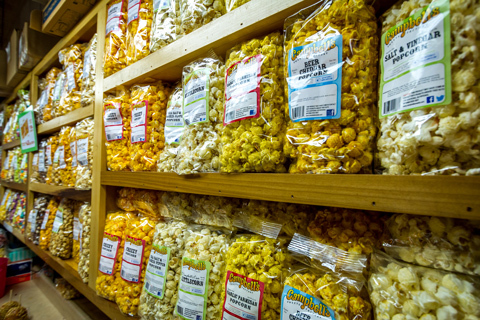 View our entire line of sweet & savory gourmet popcorn, hand dipped chocolates, fresh baked cupcakes, gifts & more. Choose between one of our three tin sizes, select a tin style, and fill your tin with up to three of our gourmet popcorn flavors. 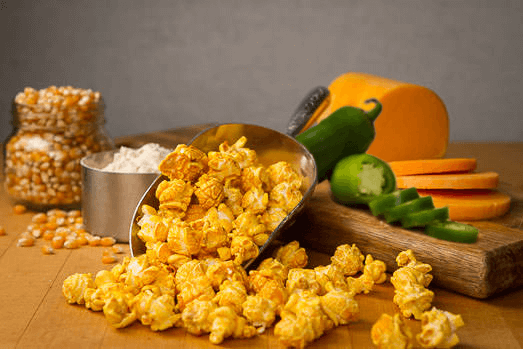 Choose your favorites among our huge selection of gourmet popcorn flavors and select and order size of 3, 6, or 12 bags of popcorn. 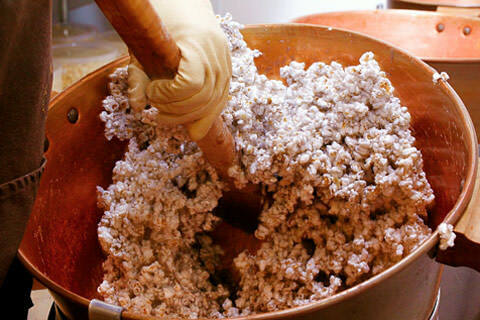 Our gourmet flavored popcorn is handcrafted in small batches. See the quality we put into everything we make.